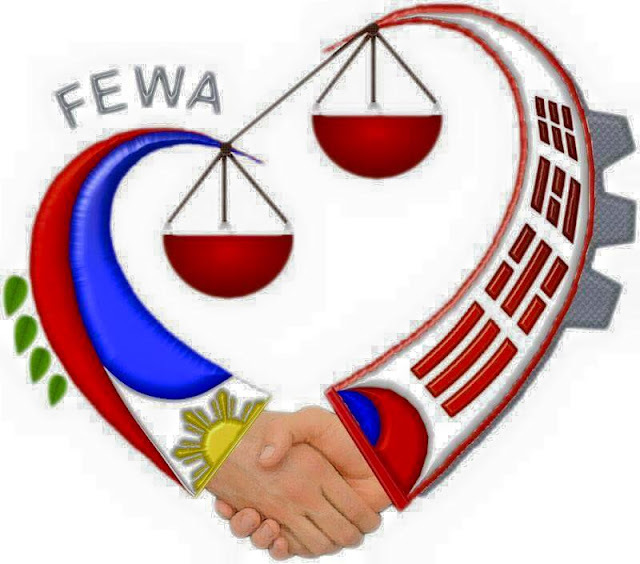 FEWA comprises by those Filipinos working under Employment Permit System or EPS which deployment starts way back 2005. As the EPS workers combat the language barrier, it is then unavoidable to encounter work related problems. It is to these instances that they seek help from each other thus, resulting to the setting up of this association. FEWA’s main aspiration is focused solely on EPS workers welfare. For its near about 10 years of existence in the Filipino community, they continuously serve and give necessary aid to its multiplying members. Further more, SULYAPINOY , a newsletter containing information’s, articles and related events dealing with the Filipino community, is the official publication of this group. As the EPS workers deployment deliberately heighten in Republic of Korea, FEWA will always be a boost to its fellow workers.